Jennifer Potter, MD | Fenway Health: Health Care Is A Right, Not A Privilege. Jennifer Potter, MD – Fenway Health: Health Care Is A Right, Not A Privilege. Jennifer Potter, MD has been a physician at Fenway Health since 2009. As Director of Women’s Health, Jennifer leads Fenway’s growing Women’s Health program and specializes in Internal Medicine, Women’s Health and LGBT Health. 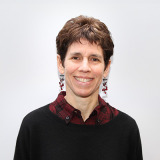 She is also a physician and Women’s Health specialist at Beth Israel Deaconess Medical Center. Jennifer graduated from Harvard Medical School and completed her internship and residency training at Beth Israel Deaconess Medical Center. She is board certified by the American Board of Internal Medicine. Jennifer is consistently ranked as one of Boston’s top doctors by Boston Magazine. She is also an author and editor of The Fenway Guide to LGBT Health and was recognized by Fenway Health for her contributions to the community with the Dr. Susan M. Love Award at the 2008 Women’s Dinner Party. She enjoys choral singing, movies and travel. She speaks English.